The Island of Calmness! - Imagine a pure Mediterranean-feel Hotel in a wonderful enviroment! Imagine a pure Mediterranean-feel Hotel in a wonderful enviroment! If you would like to organize an event for your partners, customers or colleagues, when its important to have a shelter from the noise of the world than our hotel is the best choice. Imagine a pure Mediterranean-feel Hotel in a wonderful environment! A place where beside good atmosphere a familiar hospitality fulfills Your reaction. Feel the personal care and attention! Give yourself to the comfort and enjoy our services. 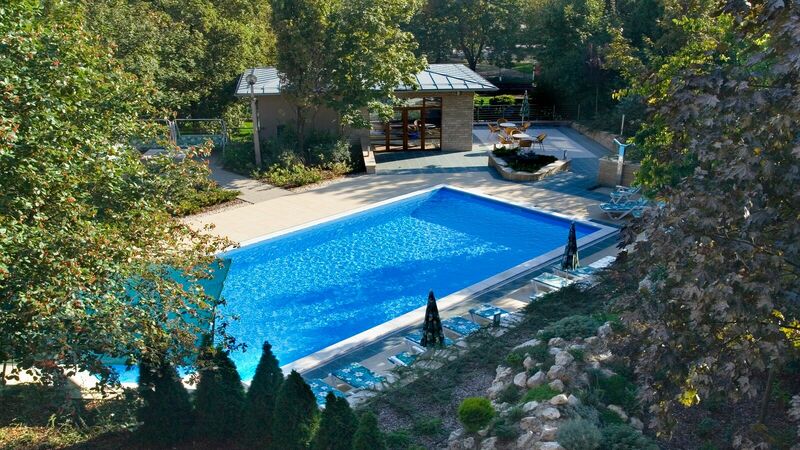 We welcome You in Balatonalmádi, at the VILLA PAX hotel, the Island of Calmness!